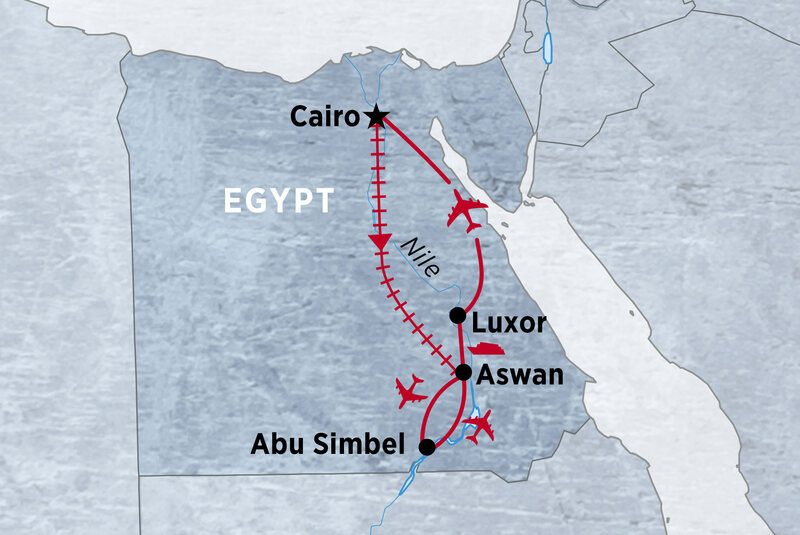 If you’ve ever had a fascination in the ancient gods, goddesses and tombs of Egypt, this in-depth, off-the-beaten-track trip is for you. Beginning and ending in energetic Cairo, stop by the tombs of nobles in Aswan and Luxor, mingle with friendly Nubian locals, visit the rock temples of Abu Simbel and see the final resting place of Osiris – God of the Underworld – at the Abydos Temple. From the famous pyramids of Giza to the less-known Red and Bent Pyramids in Dashur, through the Old Kingdom capital of Memphis and along the winding Nile, your local guide Ahmed (a knowledgable Egyptologist and history buff himself), will take you on a journey through Egypt’s incredible past, landscapes and mythology.